Border guards of the Russian Federal Security Service Border Guard Department in Armenia have prevented an attempt to illegally cross the Armenian-Turkish border. An alarm squad of the border guards arrived at the scene of the incident where it detected footprints leading to Armenia.A sniffer dog found the border trespasser in a short period of time. According to preliminary information, this border trespasser is an Iranian citizen. He said that he had crossed the border to avoid military service. The Russian border guards have handed him over to Armenian law enforcement. 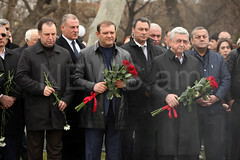 The government of Armenia will convene a special Cabinet meeting on Tuesday morning. Prime Minister Nikol Pashinyan had announced that he will resign from office by no later than Tuesday, and the snap parliamentary election in the country shall be conducted either on December 9 or 10. Armenia’s Prime Minister Nikol Pashinyan on Monday received George Kent, the US Deputy Assistant Secretary of State for European and Eurasian Affairs. The interlocutors exchanged views on the ways for resolving the Nagorno-Karabakh Artsakh) conflict, the current international situation, regional challenges, and several other matters. 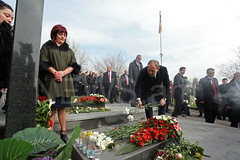 First, Pashinyan noted that the US official’s current visit to Armenia is a good opportunity for discussing the agenda of bilateral relations and avenues for the development of cooperation. 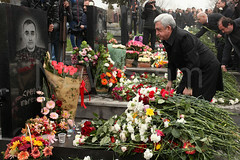 Kent, for his part, stated that he is happy to visit Armenia during the period of changes in the country. Donald Trump’s national security advisor John Bolton will visit Armenia, Georgia and Azerbaijan to see the very significant geographical role that they have dealing with Iran, dealing with Russia, dealing with Turkey. “I’ve got a trip coming up to Moscow and the Caucasus countries in about ten days. The reason for that is to continue to carry through on the conversation that President Trump and President Putin had in Helsinki during the summer to talk about U.S.-Russian relations and where we can make progress, where we still have issues and disagreement, and then in the Caucasus to see the very significant geographical role that they have dealing with Iran, dealing with Russia, dealing with Turkey,” he said. Gibraltar beat Armenia 1-0 in a shock victory in the third round of the UEFA Nations League. After a painful defeat by the Gibraltar national team, Armenian football fans clashed at the Republican Stadium because some of them raised the Gibraltar flag. The Armenian side also played the anthem of Liechtenstein by mistake. The Football Federation of Armenia has apologized to the head of delegation representing Gibraltar Football Association (GFA) for playing the wrong anthem.